TCU’s comeback win over Stanford at San Antonio’s Alamo Bowl ranked as Thursday’s top TV attraction. The 39-37 victory averaged 256,396 D-FW viewers on ESPN. CBS’ 7:30 p.m. rerun of Young Sheldon was a solid runner-up with 220,785 viewers. TEGNA8 topped the 10 p.m. competitions in both total viewers and 25-to-54-year-olds (main advertiser target audience for news programming). Fox4 extended its long 6 a.m. winning streak with another sweep while NBC5 scored twin wins at 6 p.m. The Peacock also led in total viewers at 5 p.m., and tied Fox4 for first place in total viewers. Throughout the year, unclebarky.com strives to keep track of all the arrivals and departures at D-FW’s four major TV news providers -- Fox4, NBC5, TEGNA8 and CBS11. This latest annual compendium lists only the 2017 departures (in alphabetical order) of those who have left your local home screens. Please remember, though. This is a compilation of on-camera personnel. No slights are intended to off-camera staffers, whose many contributions remain valuable and, in many cases, indispensable. But TV viewers develop long-lasting or fleeting relationships with the people they see in their living rooms -- or on other “platforms.” It’s the way it’s always been, and here we go once again. ASHLEIGH BARRY -- She stayed just a year at NBC5 before leaving in October 2017 to be closer to her home state of Massachusetts. Barry had covered the police beat. She recently became Strategic Communications Advisor for the U.S. Department of Veterans Affairs. HOMA BASH -- She stayed for less than a year as a general assignments reporter for NBC5 before leaving in June 2017 and returning to the station she had left -- ABC affiliate WEWS-TV in Cleveland. An added impetus: her fiancé lives in Cleveland. SGT. NICK BRISTOW -- D-FW’s first and so far only uniformed police traffic anchor signed off in January 2017 after initially joining TEGNA8’s Daybreak in August 2014 as “Corporal Nick.” He remains with the DeSoto PD. ALEXA CONOMOS -- It’s turned out to be a l-o-o-ong goodbye for TEGNA8’s Daybreak fixture, who joined the program as a traffic reporter in 2002 before becoming co-news anchor in June 2014. Conomos originally announced her decision to leave in January 2017, but agreed to stay with Daybreak until her replacement was hired. 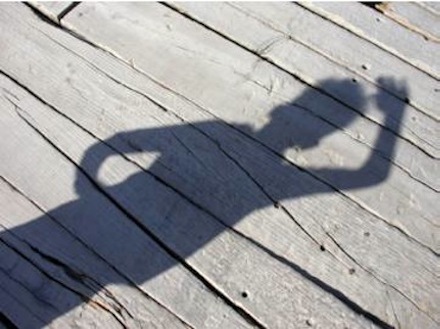 She envisioned that happening by the end of the May “sweeps” ratings period, but management kept persuading her to stay on while the prolonged search continued. Her official last day will be on Jan. 4, 2018, but she’s basically out the door so we’ll include Comonos among the 2017 exits. Her intention is to have a more “normal” life with her husband and their three young children after enduring the pre-dawn grind for 15 years. Her Daybreak successor will be Cincinnati’s Kara Sewell. CHRIS JOSE -- He joined NBC5’s reporting staff in September 2015 but didn’t stay long before leaving in February 2017 to join the news staff of Atlanta’s CBS affiliate, WSB-TV. MARCUS MOORE -- Recruited by ABC News after his standout coverage of Hurricane Harvey and its aftermath, Moore joined the network’s Dallas bureau after leaving TEGNA8 in September 2017. He joined the station in January 2012 as a reporter in the Forth Worth bureau and toward the end of his tenure had been anchoring weekend editions of Daybreak while reporting on weekdays for various newscasts. GABRIEL ROXAS -- After two-and-a-half years as a CBS11 reporter, he left the station in August 2017 to become director of consumer engagement for The Karahan Companies, whose corporate offices are in Collin County. BRIAN SCOTT -- He spent four years at NBC5 as a Denton County-based reporter before leaving in March 2017. Scott then quickly joined the reporting staff at Orlando, FL’s Fox-owned station, WOFL-TV. LISA VILLEGAS -- She joined CBS11’s meteorologist staff in October 2014 before being abruptly terminated without explanation in March 2017. Some of her social media postings reportedly had been problematic for station management. Villegas rebounded and in October 2017 became chief meteorologist for Tucson’s CBS affiliate, KOLD-TV. DIANA ZOGA -- A two-year tenure as a Fox4 reporter ended in March 2017 when the two sides couldn’t agree on a new contract. But the 1999 Plano East Senior High graduate stayed in the D-FW market, joining NBC5’s reporting staff in November 2017 as a full-time, Collin County-based reporter. For those keeping score, it was a relatively quiet year on the departure front, with just 13 casualties in 2017 compared to 23 the previous year. NBC5 “led” this time around with five exits, followed by TEGNA8 (4), CBS11 (3) and Fox4 (1). 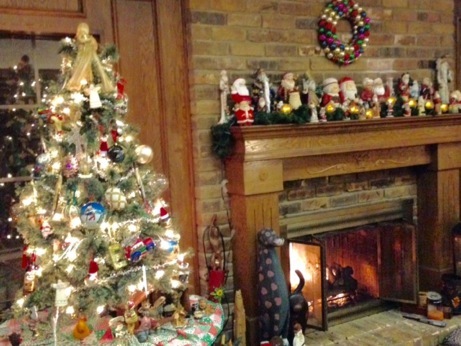 Merry Christmas to one and all from unclebarky.com world headquarters in Garland, TX. We again tag-teamed this year. My wife did the tree and your friendly content provider unpacked and arranged the Santas. We both hope you’ll have a night and day of peace and joy at the close of a very eventful year. And as an extra added attraction, the finale of Uncle Barky’s Countdown to Christmas offers a double feature that you can watch right here. This year’s Countdown climaxes with a special Christmas Eve twofer. First we have brief but memorable video from one of Dirk Nowitzki’s annual holiday visits to Dallas’ Children’s Medical Center. “Uncle Dirk,” whose heart remains bigger than his stature, makes these calls without fanfare or publicity. But in 2016, he allowed Dallas Morning News sports writer/columnist Brad Townsend to tag along. Brad’s Christmas Eve story this year reconnects with three of the families whose lives have been made brighter by Dirk’s kindness and generosity. You can read his account here. And, as in the past, we end with Nat King Cole’s performance of “The Christmas Song.” No one will ever do it better, and this year’s video is a look at Nat in all his glory during a guest appearance in 1963 on The Danny Kaye Show. Have yourself a very merry one, and enjoy. Oprah’s annual Christmas giveaways became renowned not so much for the lavish free gifts but for her audiences’ pee-in-the-pants pandemonium. Here’s a compilation of six big reveals and the resultant mass hysteria. He beautifully sings his way through the Bing Crosby anthem before losing it down the stretch with “Jingle Bells.” But whatever your verdict, Mandy threw himself into these standards and dashed through the snow his way. You won’t see many if any other Christmas vocals quite like this one. CBS made merry with the gift that keeps on giving Wednesday night. The latest season finale of CBS’ Survivor and its companion one-hour “reunion” hour easily paced all prime-time programming. Many more of both are sure to come. The 7 to 9 p.m. edition of Survivor drew 199,419 D-FW viewers before the following get-together had 163,808. Advertiser-prized 18-to-49-year-olds also bought in, with Survivor logging 93,618 before the kicker pulled in 49,930. Led to the slaughter was ABC’s 9 p.m. return of Match Game, which nosedived with 56,977 total viewers and 12,482 in the 18-to-49 realm to rank fourth across the board in the Big Four broadcast network universe. And now for Wednesday’s local news derby results. TEGNA8 overcame the Match Game shortfall to rank first in total viewers at 10 p.m. while Fox4 was tops with 25-to-54-year-olds (main advertiser target audience for news programming). Fox4 swept the 6 a.m. races and NBC5 did likewise at 5 p.m. The 6 p.m. golds went to TEGNA8 in total viewers and the Peacock with 25-to-54-year-olds. Miley Cyrus was just 16 and the year was 2008 when she performed this jet-propelled version of “Rockin’ Around the Christmas Tree” during NBC’s annual Christmas in Rockefeller Center special. Sorry, Brenda Lee, but it’s the best I’ve ever heard. And the guitar backing is sensational. Open your mind and enjoy while also appreciating the fact that Miley has matured a lot since then while remaining a distinctive, innovative vocalist. The latest season finale of NBC’s The Voice made merry in the D-FW ratings Tuesday, more than doubling the crowd for any competing program. Won by Nashville’s Chloe Kohanski, The Voice drew 341,861 viewers in the 8 to 10 p.m. slot. The next closest competitor, CBS’ 8 p.m. repeat of NCIS, had 142,442 viewers. The Voice also led all prime-time programming in the advertiser-prized 18-to-49-year-old demographic, pulling in 99,859. In the 7 p.m. hour, a recap of The Voice’s final performances lured 199,419 total viewers to also run first. But ABC’s animated holiday combo of Olaf’s Frozen Christmas and Prep & Landing: Naughty vs. Nice won the hour with 18-to-49-year-olds. Feeding off the big lead-in advantage from The Voice, NBC5 coasted to 10 p.m. wins in both total viewers and 25-to-54-year-olds (main advertiser target audience for news programming. Fox4 logged twin wins at both 6 a.m. and 5 p.m. while TEGNA8 swept the 6 p.m. races. LOCAL TV NEWS NOTE -- D-FW’s TXA21 again will burn off portions of Christmas Eve and Christmas Day with the return of the Yule Log. It fires up at 8 p.m. on Christmas Eve and flames out on noon Christmas Day. The Log has a history of winning its time slot in some of the wee hours. Forty years ago, brothers Ray and Dave Davies outwardly were still getting along when The Kinks recorded the single “Father Christmas,” which Ray wrote. A pity. But back in 1977, Ray and Dave still rocked and shared the stage. And in that spirit, we give you their unbridled “Father Christmas” video. It still holds up, with the group more or less in Santa suits. The song since has been covered by the likes of Green Day, Smash Mouth and Cheap Trick. Two networks again split the prime-time spoils Monday. NBC’s The Voice ranked as the top total viewers draw in D-FW, drawing 306,250 from 7 to 9 p.m. The Peacock’s premiere of Ellen’s Game of Games then had enough juice to win the 9 p.m. hour, at least in the Big Four broadcast network universe. It pulled in 199,419 viewers. ESPN’s Monday Night Football matchup, with the Atlanta Falcons edging the Tampa Bay Buccaneers, reigned throughout the night with advertiser-craved 18-to-49-year-olds, averaging 109,221. Falcons-Bucs also was tops in total viewers from 9 p.m. until closing time, and had a full-game average of 270,640. TEGNA8 had the most total viewers at 10 p.m. while NBC5 reigned with 25-to-54-year-olds (main advertiser target audience for news programming). Fox4 as usual swept the 6 a.m. competitions and NBC5 prospered in the early evening with twin wins at both 5 and 6 p.m.
A bizarre game decided by inches at the end -- and a piece of paper near the end -- ended with the Dallas Cowboys squeaking out a 20-17 win over the Oakland Raiders on the NFL’s biggest stage. NBC’s Sunday Night Football presentation, which stretched to 10:48 p.m., averaged 1,274,856 D-FW viewers and 546,105 in the advertiser-coveted 18-to-49 age range. The Cowboys, who retained their slim but still viable post-season hopes, rebounded well past the magic one million viewers mark after registering a season low 904,507 for the previous week’s win over the lowly New York Giants. Before the Cowboys got started, the dramatic and equally weird closing minutes of CBS’ titanic New England Patriots-Pittsburgh Steelers clash served to blunt the 6 p.m. start of Fox’s heavily promoted A Christmas Story Live! Ending at 6:19 p.m., Pats-Steelers drew 726,454 viewers for the 6 to 6:15 p.m. segment and upped that number to 740,698 for the closing minutes plus post-mortem. Christmas Story, a rebooted musical version of the enduring 1983 feature film, actually hit its highest numbers in the first hour, with an average of 192,297 total viewers from 6 to 7 p.m. The Pats-Steelers game no doubt kept many other potential viewers away before the Cowboys game took over at 7:30 p.m. and chop-blocked Christmas Story’s audience to 106,832 viewers from 7:30 to 7:45 p.m. Overall the production averaged 135,320 viewers and 68,653 in the 18-to-49 realm. ABC devoted its entire Sunday night to a reprise of The Sound of Music, which averaged 85,465 total viewers in the 6 to 10 p.m. slot. A piddling 18,724 of them were 18-to-49-year-olds. On Friday, CBS’ 8 p.m. episode of Hawaii Five-0 led all prime-time TV attractions in total viewers with 213,663. The network’s 7 p.m. Macgyver set the pace with 18-to-49-year-olds (34,327). NBC5 swept the 10 p.m. races in total viewers and 25-to-54-year-olds (main advertiser target audience for news programming) while Fox4 did likewise at 6 a.m. The Peacock had twin wins at 5 p.m. and tied CBS11 for the top spot in total viewers at 6 p.m. Fox4 drew the most 25-to-54-year-olds at 6 p.m. The biggest Thursday Night Football stinker of the season still had surprisingly fragrant ratings. NBC strived to dress up the sub-meaningless Denver Broncos-Indianapolis Colts matchup with a “Sky Cam” motif that may have in part turned the trick. The Broncos’ 25-13 win at Indianapolis averaged 249,274 D-FW viewers on NBC and tacked on another 28,488 for the NFL Net’s simulcast. That was good enough to win every 15-minute segment from 8 to 10:30 p.m. after NBC’s portion of the game lost by a sliver from 7:30 to 8 p.m. opposite CBS’ Young Sheldon. Broncos-Colts otherwise easily won from start to stop with advertiser-prized 18-to-49-year-olds, with NBC pulling in an average of 87,377 and the NFL Net chipping in with a scant 9,362. Fox’s pair of first-run Christmas specials, Taraji’s White Hot Holidays and Showtime at the Apollo: Christmas, came nowhere close to football in either ratings measurement. In fact, Fox4’s following 9 p.m. local newscast had bigger crowds in both cases -- while also losing out to Broncos-Colts. In Wednesday’s prime-time proceedings, CBS’ 7 p.m. hour of Survivor was the top draw in total viewers (256,396) while Fox’s Empire drew the most 18-to-49-year-olds (87,377). Wednesday -- TEGNA8 had the most total viewers at 10 p.m., but Fox4 won among 25-to-54-year-olds (main advertiser target audience for news programming). Fox4 continued to run wild at 6 a.m. with dominant twin wins and also swept the 6 p.m. competitions. NBC5 ran the ratings table at 5 p.m.
Thursday -- TEGNA8 swept a downsized three-way race at 10 p.m. while NBC5 was blotted out by the Thursday Night Football run over. Fox4 again logged two firsts at 6 a.m. and also won with 25-to-54-year-olds at 5 and 6 p.m. NBC5 had the most total viewers at both 5 and 6 p.m.
Jack Highberger from Minneapolis’ Fox-owned KMSP-TV is the latest addition to Fort Worth-based NBC5’s reporting staff, sources confirm. He’ll primarily cover Dallas after spending the last three years at KMSP. His first day at NBC5 will be Jan. 15th. Highberger previously was a reporter for KGPE-TV and KSEE-TV in Fresno, CA. He’s a graduate of Arizona State University’s Walter Cronkite School of Journalism and Mass Communication. His KMSP station bio describes Highberger as an “old soul” who “loves classic movies and records and is always looking to add to his collection.” In a companion Q&A, Highberger says the “most beautiful film I’ve ever seen is (Bernardo Bertolucci’s) The Conformist.” Now that’s going deep. Credit Johnny Cash for being open to offbeat entertainers on his Christmas specials. In 1979, with an assist from June Carter Cash, he welcomed Andy Kaufman as Santa Claus. Or “Sanny Claus,” as she put it. Later in the show, Kaufman returned to do his killer Elvis impersonation after a little opening banter with Johnny. You can see that lengthier video right here. But below, here’s Andy’s first walk-on in semi-Santa attire. Not quite yet a full-blown country music deity, a 34-year-old George Strait lip synced “When It’s Christmas Time in Texas” with all the dexterity of a dog gumming peanut butter. It was 1986, the last year in which ABC presented the late Perry Como’s annual Christmas special. Strait joined Como and guests Angie Dickinson, Julia Migenes-Johnson and then San Antonio mayor Henry Cisneros in the Alamo City. Strait’s out of body contribution -- a piped-in vocal has never been quite this obvious -- came at an outdoor party where he interacted with guests and danced with some of them while gamely grinning his way through it all. Your friendly content provider was in San Antonio for the first day of taping on All Saint’s Day. Como much more convincingly lip synced his trademark “Ave Maria” inside the historic San Fernando Cathedral before later taping a segment at the San Jose Mission. He had recorded his latest version of “Ave Maria” two days earlier in Los Angeles. During a subsequent interview, Como was asked about his 1984 Christmas special from London, when he dared to substitute “O Holy Night” for “Ave Maria” as his traditional show closer. “I caught hell for it,” Como said, pledging to never do this again. Como didn’t shatter any illusions formed over the years by a kid who at first endured his annual Christmas specials before later coming to almost revere them. He proved to be as nice off-camera as on-, signing autographs, bantering with fans and remaining self-effacing. “You’re my era,” a middle-aged woman getting around on crutches told him. “I’m everybody’s era,” he said before signing a dollar bill for her. Unfortunately, Como’s last performance of “Ave Maria” for ABC is not available for reprising here. So Episode 2 of The Countdown brings you this must-see-it-to-believe-it outing by Strait, whose “When It’s Christmas Time In Texas” wound up on his “Merry Christmas Strait to You!” album along with “For Christ’s Sake, It’s Christmas” among its nine other tracks. We begin our annual exercise in Christmas nostalgia and merriment with a seamlessly edited compilation reel of Darlene Love’s performances of “Christmas (Baby Please Come Home)” on David Letterman’s late nighters. You miss it. You know you do. Love and Letterman, with ring-a-ding musical arrangements from Paul Shaffer, teamed annually until Dave’s final Christmas show in December 2014. Here’s the entire song in various guises, with Love’s voice always in full trumpet no matter what her age or hairstyles. I can’t think of a better or more rousing way to start The Countdown. Can you? Dallas-based TEGNA8 is adding Jonah Javad to its sports staff as a reporter and fill-in anchor, sources confirm. He’s been with Buffalo’s NBC affiliate, WGRZ-TV, since August 2012, where he’s anchored on weekends and reported on weekdays. WGRZ also is owned by TEGNA. 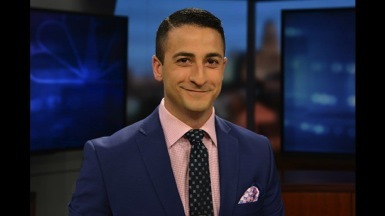 Javad previously worked at KOMU-TV in Columbia, MO and is a graduate of the University of Missouri. 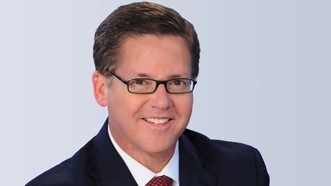 He fills a vacancy left by Ted Madden after he resigned from TEGNA8 in November of last year. The Dallas Cowboys kept their slim post-season hopes alive Sunday with a late surge and 30-10 win over the plodding New York Giants. But the D-FW Nielsen ratings fumbled again, with the Cowboys drawing a season-low 904,507 viewers for the noon starter on Fox. Just 321,422 were in the advertiser-prized 18-to-49-year-old age range, which is another lowest of the low. Fox’s followup game, the marquee Philadelphia Eagles-Los Angeles matchup, averaged 655,233 total viewers, with 227,804 in the 18-to-49 realm. NBC’s Sunday Night Football attraction, the Pittsburgh Steelers vs the Baltimore Ravens, pulled in 363,227 total viewers and 134,186 in the 18-to-49 demographic. Saturday afternoon’s snowy Army-Navy game led all of that day’s TV attractions with 178,053 total viewers. On Friday, CBS’ Blue Bloods drew the biggest crowd of total viewers (235,029) while the network’s Hawaii Five-0 was tops with 18-to-49-year-olds (37,447). NBC5 ran first at 10 p.m. in total viewers and beat Fox4 by a sliver among 25-to-54-year-olds (main advertiser target audience for news programming). Fox4 remained dominant at 6 a.m. with twin wins and also drew the most 25-to-54-year-olds at 5 and 6 p.m. NBC5 won both of the early evening competitions in total viewers. Veteran reporter Joel Thomas has ended a 14-year career at D-FW’s CBS11 and returned to Georgetown, TX for personal reasons. Thomas joined CBS11 in November 2003 after three years with Atlanta’s WXIA-TV. He is a graduate of the Texas State University journalism school. CBS continued to light up Thursday’s prime-time ratings with its longstanding The Big Bang Theory and the new Young Sheldon followup act. Big Bang led all TV attractions with 455,814 D-FW viewers before its first-year spinoff won the 7:30 p.m. slot with 341,861. Big Bang also ranked as Thursday’s top draw among advertiser-coveted 18-to-49-year-olds with 140,427 before Sheldon lost its half-hour to NBC’s Thursday Night Football matchup between the Atlanta Falcons and New Orleans Saints. TNF overall averaged 320,495 total viewers on NBC and another 56,977 for the NFL Net simulcast. In the Big Four broadcast network universe, CBS’ S.W.A.T. reboot took the 9 p.m. hour in both ratings measurements. Wednesday’s prime-time parade was paced by CBS’ Survivor in both total viewers (213,663) and 18-to-49-year-olds (68,653). And on Tuesday night, CBS’ NCIS rerun topped all TV attractions in total viewers with 235,029 while ABC’s The Middle took the 18-to-49 gold with 59,291. Tuesday -- TEGNA8 reigned at 10 p.m. with wins in both total viewers and with 25-to-54-year-olds (main advertiser target audience for news programming). Fox4 dominated at 6 a.m. with runaway twin wins while NBC5 swept the 5 p.m. competitions. The 6 p.m. firsts went to the Peacock in total viewers and Fox4 in the 25-to-54 realm. Wednesday -- Fox4 ran the table at both 10 p.m. and 6 a.m. while adding a 6 p.m. win with 25-to-54-year-olds. NBC5 swept the 5 p.m. races and also ran first at 6 p.m. in total viewers. Thursday -- In a downsized 10 p.m. competition, TEGNA8 and CBS11 shared first place in total viewers but CBS11 won outright among 25-to-54-year-olds. Fox4 coasted to another pair of 6 a.m. wins while NBC5 again ruled in both ratings measurements at 5 p.m. The Peacock also was tops in total viewers at 6 p.m. while Fox4 won with 25-to-54-year-olds. Mr. Shipp goes to Washington? Investigative reporter Brett Shipp has abruptly ended a 22-year career at Dallas-based TEGNA8 by announcing he’ll be running for the 32nd District congressional seat held by Republican Pete Sessions since 2003. Shipp, 59, would first have to survive a multi-candidate Democratic primary field. TEGNA8, which broke the news of his candidacy, said that Shipp resigned Tuesday. “We are grateful for the many contributions Brett has made to WFAA and the field of journalism,” executive news director Carolyn Mungo said in a statement. Just a little over two years ago, Shipp and Byron Harris (who retired in October 2015 from TEGNA8) formed the most formidable and award-winning investigative reporting duo in D-FW television news history. Both were honored with multiple national Peabody and duPont Columbia awards. In an interview with unclebarky.com tied to his retirement, Harris said he expected Shipp to remain a fixture at TEGNA8 for many years to come. 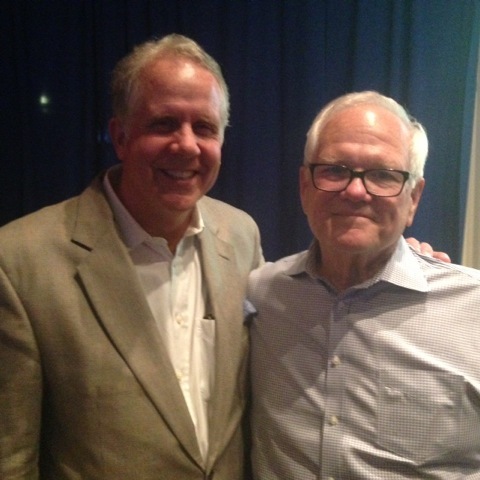 Shipp has made both a name for himself -- and more than a few enemies -- during his tenure at TEGNA8. One of his antagonists, Dallas County Commissioner John Wiley Price, quickly weighed in Wednesday, telling The News that Shipp has “an ice cube’s chance in hell” of being elected to Congress. Shipp follows in the footsteps, although not along party lines, of former NBC5 reporter Grant Stinchfield. He unsuccessfully ran as a Republican congressional candidate against incumbent Kenny Marchant after initially leaving the station to take ownership of a Kwik Kar Auto Lube and Repair business. 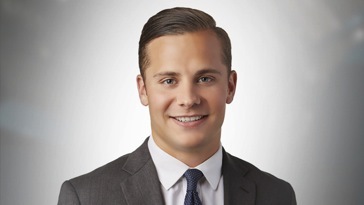 Shipp, who was an investigative reporter for Dallas-based KDFW-TV (now known as Fox4) before joining TEGNA8, is the son of Bert Shipp, the late, longtime TEGNA8 assignments editor.